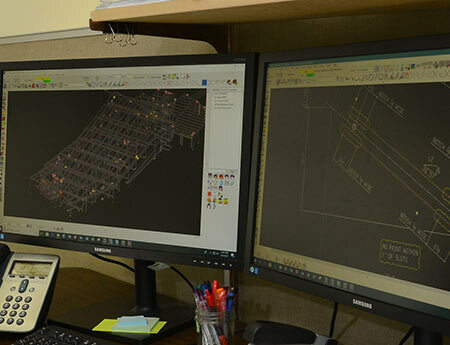 CMF - Drafters produce Building Information Modeling utilizing SDS/2. CMF knows the fabrication timeline does not start until the drawings are in the shop. We also realize that poorly detailed buildings or those that are incomplete cannot be fixed by even the best fabricators in the world. That is why a drafter is a part of your CMF team and works directly with you at the start of your project. The drafter details the package, manages approval timelines and sets up the CNC programs for shop fabricating. At each stage, the work will be inspected to make sure it is accurate, complete, and that it will fit. We work closely with your team utilizing SDS/2 for 3D models. This enables us to quickly and efficiently find any conflicts or discrepancies. 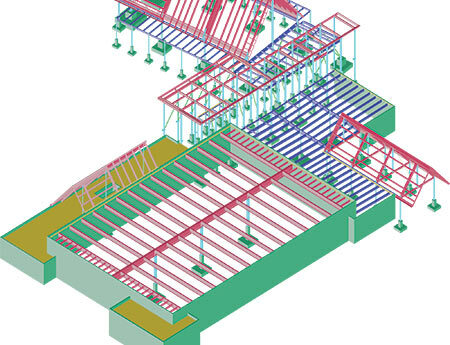 Additionally, this allows us to work with and utilize your BIM (Building Information Modeling) package. Once the drawings are approved and sent to the shop, CMF uses digital documentation on tablets for all drawings and specifications. 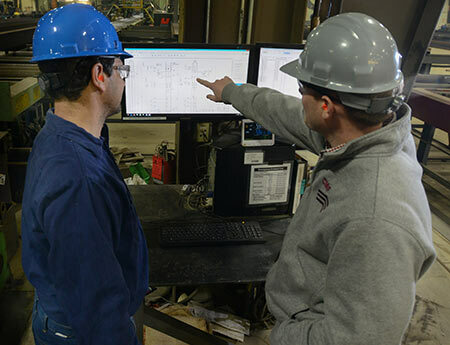 All changes are made quickly and communicated electronically across the shop. 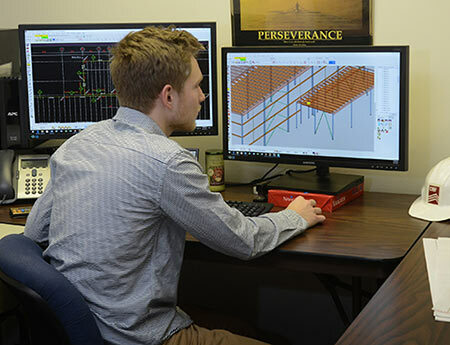 3D modeling with BIM as the job requires it.